We can build to order and have the supply chain capabilities to deliver large quantities at the most cost industry a wide range of coverings are also available. Ideally suited to dynamic or vibration applications our earth straps and bonds offer an excellent cost effective solution to both electrical and electro mechanical requirements. 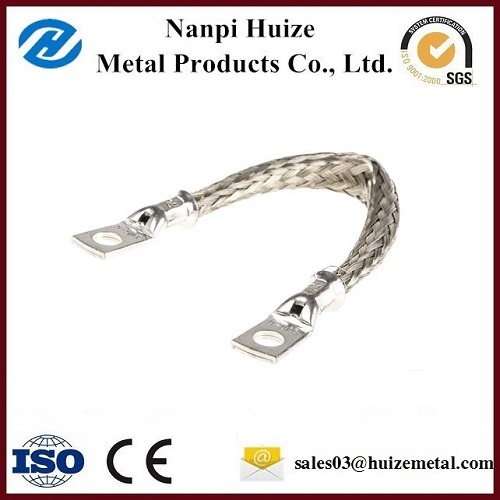 The range of highly flexible connectors and leads are commonly used in switch gear, building services, environments as well as a wide range of other industries. Looking for ideal Customized Earth Leads Manufacturer & supplier ? We have a wide selection at great prices to help you get creative. All the Copper Braided Earth Wire are quality guaranteed. We are China Origin Factory of Tinplating Ground Wire. If you have any question, please feel free to contact us.